Baymount's Ashley is a sooty buckskin Morgan mare owned by Baymount Morgans, Red Bluff, CA. 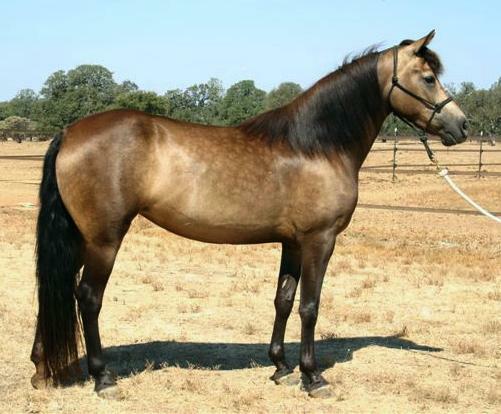 Ashley would be a fairly light shade of buckskin but for the dark cast caused by the sooty gene, which is common in Morgan horses. Thankyou to Jeanne Michaelis of Baymount Morgans for allowing me to display this photo of her beautiful mare.